Since its beginning in 2011, the 100 Artists Show has focused on bringing fine art and fine craft to its barrier island community. The festival, now titled Art Splash, has evolved into a spotlight event for Suntan Art Center which showcases both established and emerging artists. Art Splash strives to provide an outlet for the traditional as well as the most innovative art forms. 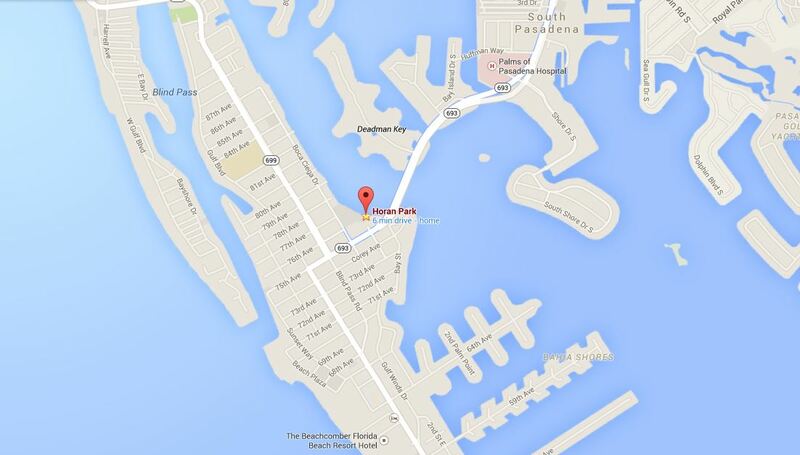 This highly anticipated outdoor waterfront festival takes place annually at Horan Park at the City of St Pete Beach Community Center complex. It attracts avid collectors of fine art and craft from this upscale beach locale and the greater Tampa Bay region. A few minutes away, in downtown St Petersburg, is a vibrant art mecca featuring nearly 30 world class galleries and museums. Among them are the Dali Museum, the Chihuly Collection and the newly opened James Museum of Western and Wildlife Art. Art Splash is a highly advertised celebration of the arts and committed to the exhibition of fine art & craft. The event promotes high quality traditional and contemporary artwork from seasoned professionals and talented newcomers. Work from local artists is exhibited in the main tent with the opportunity to receive prizes and awards in the following categories: Water & Mixed Media, Oil & Pastel, Photography and 3-Dimensional artwork. Artisanal foods are featured in a separate marketplace toward the rear of the show. Art Splash is presented by Suntan Art Center and is one of the most significant annual fundraisers for the independent non-profit association. Suntan Art Center has made its mark on the local art scene for over 55 years and sustains itself through the community's support of membership, small art events and an annual fundraising gala. Artists must provide four images that accurately represent the body of work they plan to show. Artists must provide an image that accurately represents how the artwork will be presented during the show. This photo should be a full-frontal view with no people included. Applications will be accepted through January 25, 2019. Jury will be continually reviewing applications until January 31, 2019. Acceptance notifications will begin January 7, 2019 and continue biweekly until February 5, 2019. Complimentary continental breakfast is available artist and vendors on Saturday, February 23rd and Sunday, February 24th. Booth sitters and lunch delivery is available upon request. January 7, 2018: Deadline for first jury session and notification. After first round of jury selections, the review process will be ongoing with bi-weekly notifications until show has been filled. A non-refundable $50 deposit for show is due upon acceptance. February 8, 2019: Booth fee balance of $142.60 ($192.60 total, less $50 deposit) is due. Admittance and parking to the public is free of charge. · All applications must be postmarked by January 7, 2019 for the FIRST jury session. $25 jury fee is due at the time of application. Incomplete application packets will not be considered at that time, but will be accepted in order received as space permits. Notification of acceptance from this jury round will be made no later than January 11, 2019. · A $50 deposit for show is due upon acceptance notification. The booth fee balance of $142.60 ($180 plus 7% tax, less the deposit) is due February 8, 2019. Artists may withdraw from Suntan Art Festivals and receive a refund of booth fees (less deposit,) upon written request received no later than February 15, 2019. No refunds will be issued after this date. · Artists must be present for the duration of the show: 10 AM – 5 PM, Saturday, February 23rd and 10 AM – 4 PM, Sunday, February 24th. · Work must be exhibited both days- no exceptions. · All exhibits must be original work, created by the exhibiting artists and offered for sale. Prints and cards of artists’ original work will be allowed. · Application for works of a collaborative nature must include all contributing artists’ names. · One booth will be assigned per artist; a limited number of double booths may be approved upon availability. · No dealers, agents, stand-ins or proxies allowed. Only work representative of the artist’s submitted jury images will be permitted. If exhibited works differ significantly from the images submitted, the artist may be asked to leave and will forfeit all fees. · Fees not paid by the deadline may result in forfeiture of booth to an artist on the wait list. Artists will be notified of their assigned booth number and location at time of check-in. · Exhibitor information about check-in, set-up and parking will be emailed, no later than February 18th, 2019. Check- in and set-up is available Friday after 1:00 pm and Saturday morning, after 7:30 am. · No changes in booth assignment will be allowed without the approval of the Festival Coordinator. · Each exhibiting artist must check-in and provide photo identification before set-up. Failure to do so may result in forfeiture of booth. All work and artist belongings, including chairs, must be contained within the assigned booth space. · Parking and traffic are not permitted in the show area after 9:30 AM on Saturday or Sunday. The event site will remain closed on Friday and Saturday night and security will be on location. Although artists, at their discretion, will be allowed to leave exhibitor displays on the site overnight, Suntan Art Center and the City of St. Pete Beach will not be liable for any loss. All booths must be dismantled and removed by 8 PM on Sunday night. · The following are not eligible for exhibit: works that are made from commercial molds, kits or patterns; commercial displays; manufactured or kit jewelry; and art supplies. · Each artist is responsible for collecting and reporting Florida sales tax on all sales made during the Festival. · All rules will be strictly enforced. The Festival Committee reserves the right to prohibit display of work deemed unacceptable. Failure to follow these rules may result in ineligibility for this and future shows and any prize award. The Festival Committee reserves the right to make final interpretation of the rules. Corner booths are available at a $40 premium. Please indicate on your application if you request a corner booth. Booth sitters and lunch delivery are available upon request. Artists must be present for the duration of both show days: 10 AM – 5 PM, Saturday, and 10 AM – 4 PM, Sunday. One booth will be assigned per artist; a limited number of double booths may be approved upon availability. No changes in booth assignment will be allowed without the approval of the Festival Coordinator. INDEMNIFICATION: Vendor agrees to indemnify fully and save and hold harmless Suntan Art Center, The City of St. Pete Beach, its officers, employees and agents against any and all damage, claims, liabilities, and cause of action of every kind and nature, to the extent they are not caused by the conduct of Suntan Art Center’s or the City’s agents or employees. Suntan Art Center and the City shall give vendor prompt and reasonable notice of any such claims or actions and vendors shall have the right to investigate, compromise, and defend the same to the extent of the Vendor’s own interest. Nothing contained in this Agreement shall be constituted as a waiver of the City’s sovereign immunity granted pursuant to section 768.28 Fla. Stat. WAIVER OF CLAIMS: Suntan Art Center and The City of St. Pete Beach and their agents shall not be liable for, and Vendor hereby releases all claims for damage to or loss of personal property sustained by Vendor or any person claiming through Vendor resulting from any fire, accident, occurrence, theft, or condition in or upon the ground/site which they shall be a part of or adjoining areas provided same are not due to negligence of Suntan Arts Center, its agents or the City of St. Pete Beach.